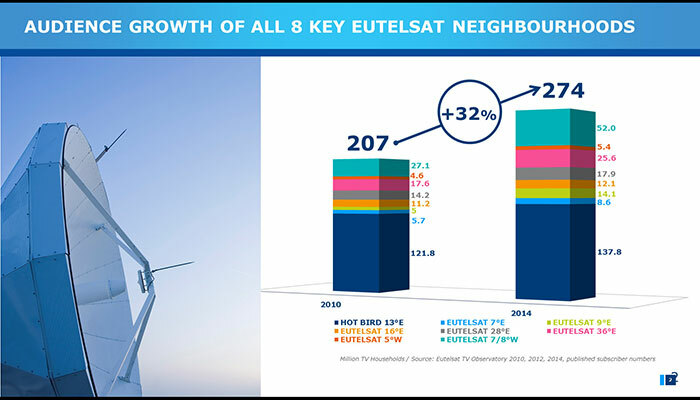 Paris, 9 January 2015 — Eutelsat Communications (NYSE Euronext Paris: ETL) today revealed headline figures of research on the number of homes receiving channels broadcast by eight of its flagship television neighbourhoods serving Europe, North Africa and the Middle East. 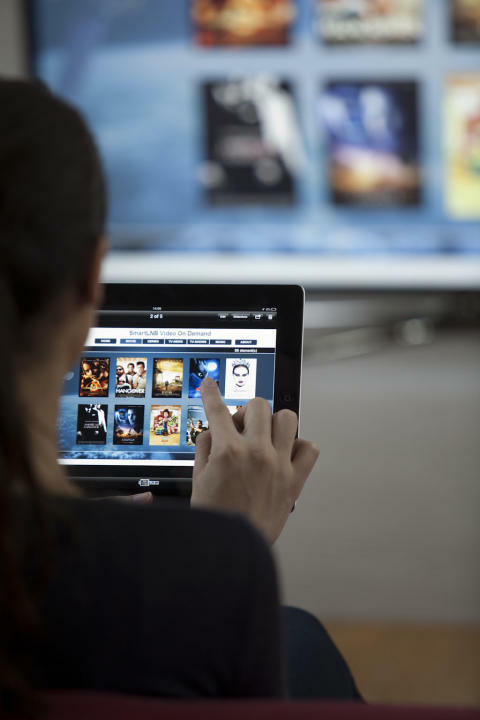 A total of 274 million homes are now either equipped for Direct-to-Home (DTH) reception or connected to a cable or IP network offering channels broadcast by a Eutelsat satellite, up from 207 million in 2010 (+32%). Seventy per cent of the 393 million TV homes in the footprint analysed today watch channels brought to them by a Eutelsat satellite. Eutelsat’s TV Observatory also zoomed in on general trends in DTH, cable, IPTV and DTT reception in more mature Western European markets where 15 countries were surveyed, accounting for 179 million TV homes. 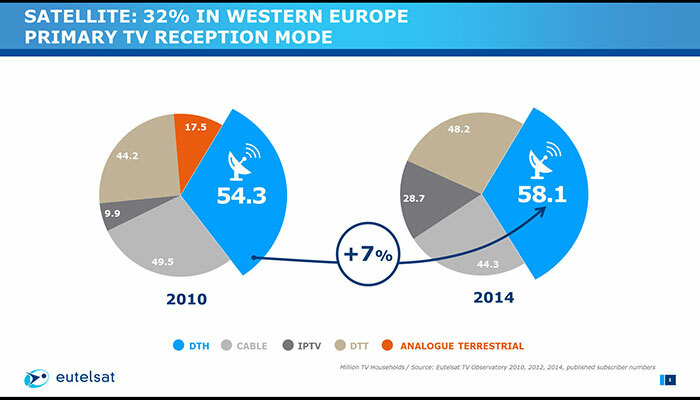 DTH is confirmed as the main mode for TV reception in Western Europe, up 7% to 58 million homes from 54 million in 2010 and accounting for one in three homes. Exclusive DTT reception has risen to 48 million from 44 million homes, while cable has declined to 44 million homes from 50 million. IPTV has increased from a modest base of 10 million homes to 29 million in 2014 (of which 15 million in France). Established in 1977, Eutelsat Communications (Euronext Paris: ETL, ISIN code: FR0010221234) is one of the world's leading and most experienced operators of communications satellites. 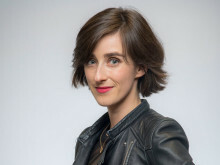 The company provides capacity on 35 satellites to clients that include broadcasters and broadcasting associations, pay-TV operators, video, data and Internet service providers, enterprises and government agencies.